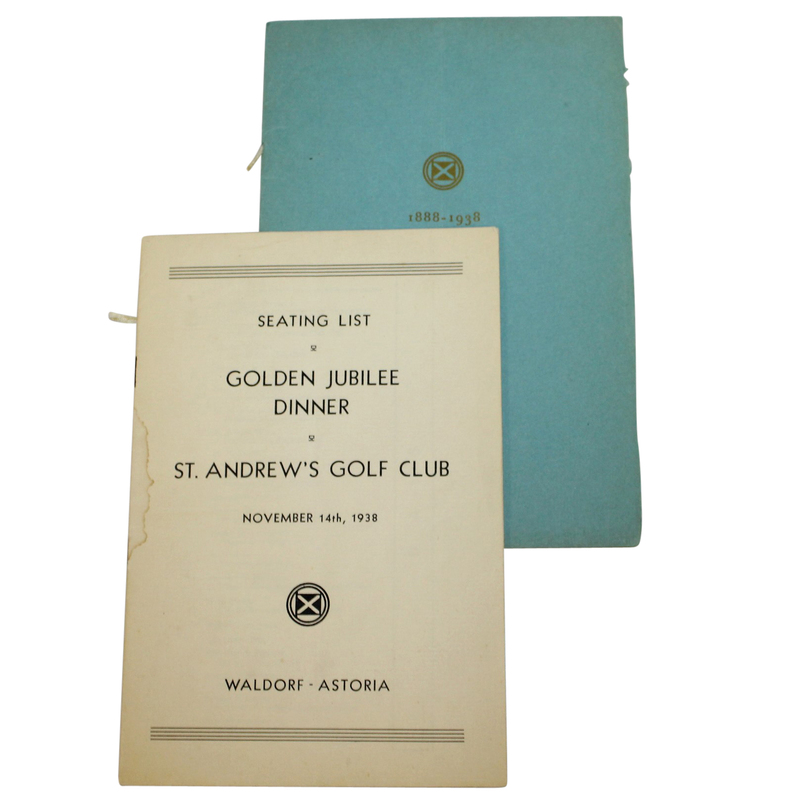 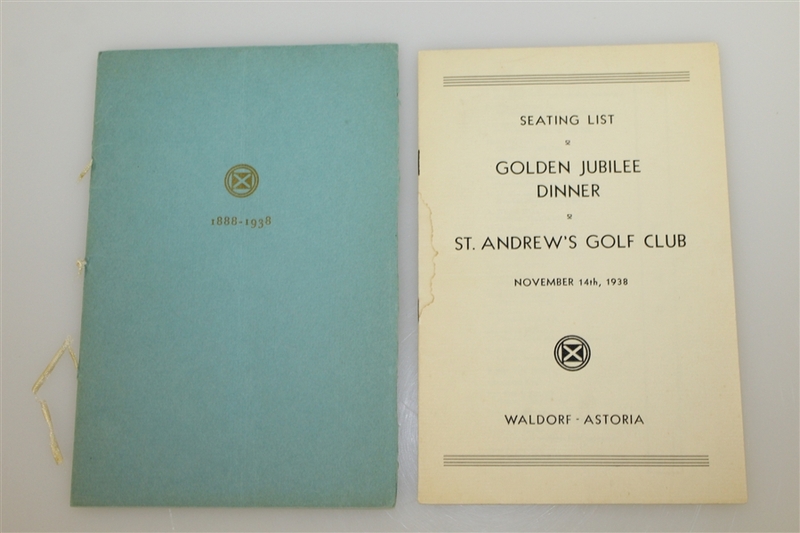 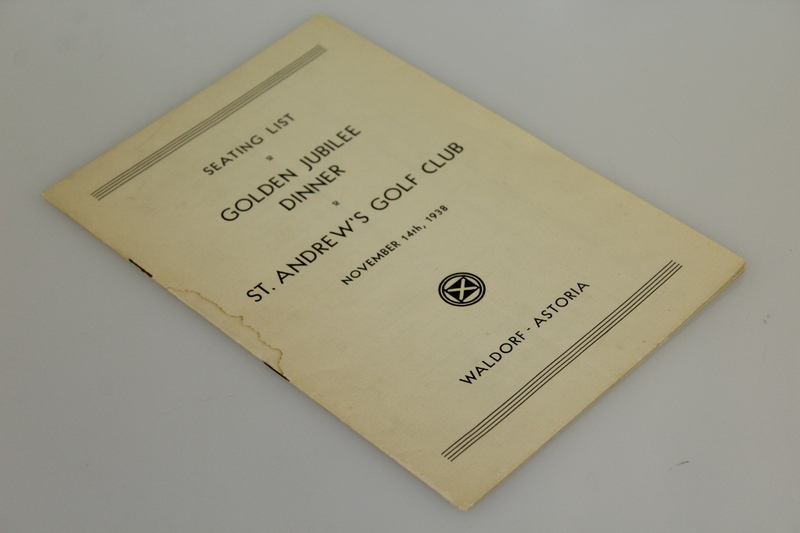 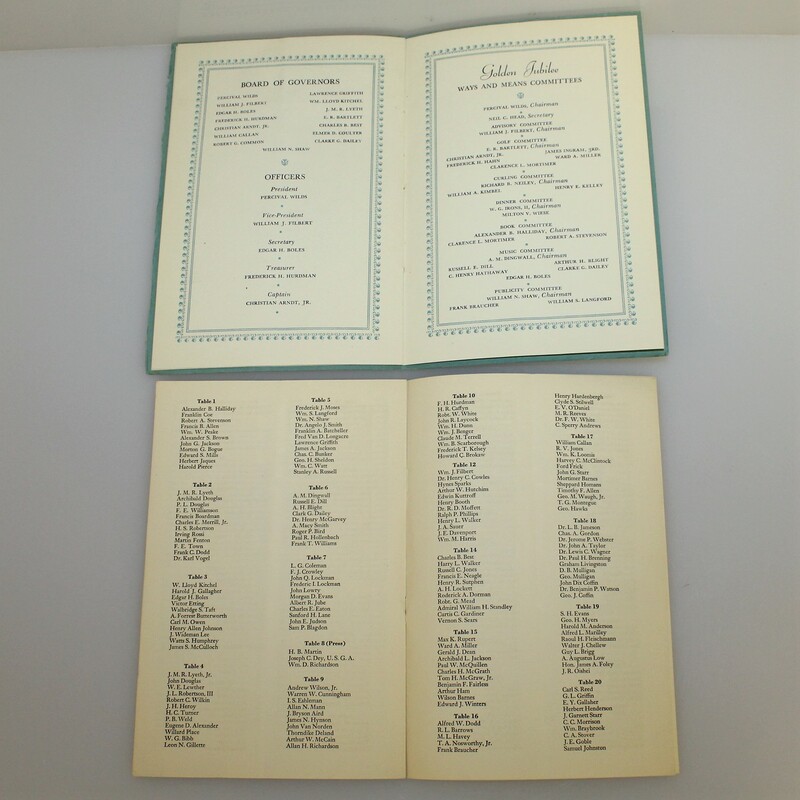 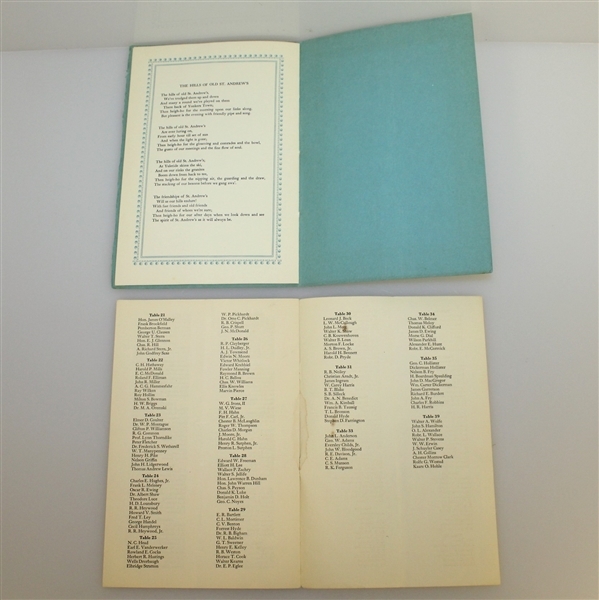 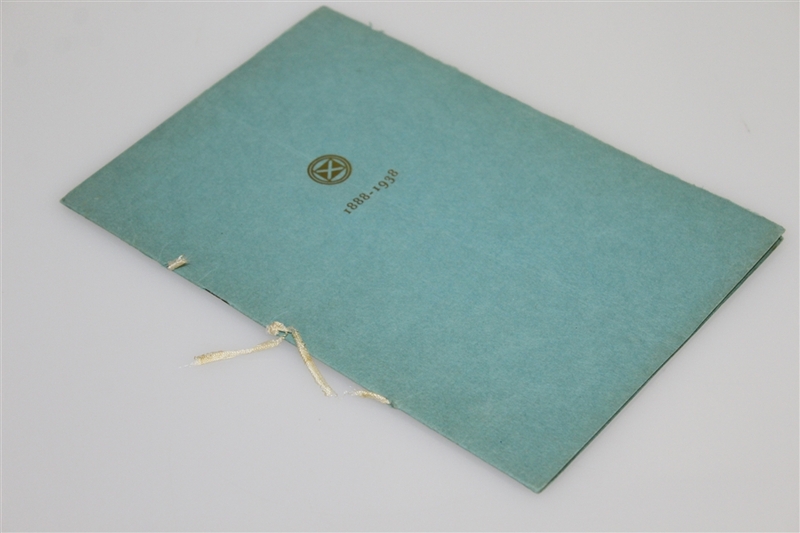 Offered here is a 1938 St. Andrews Golden Jubilee Anniversary banquet program and dinner menu. Bobby Jones was a speaker at the event which was held at the Waldoff Astoria, New York City. 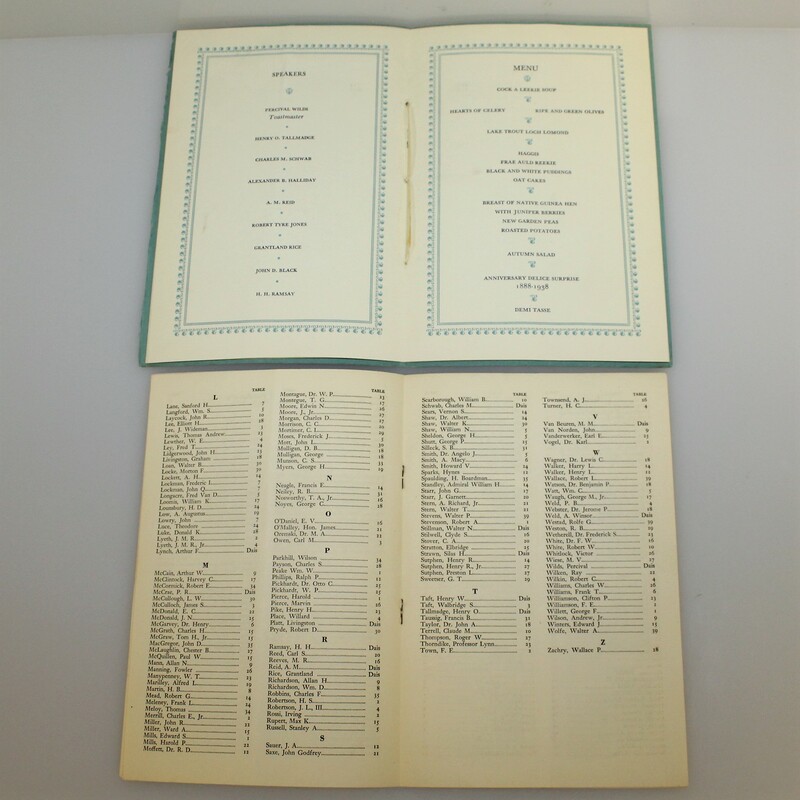 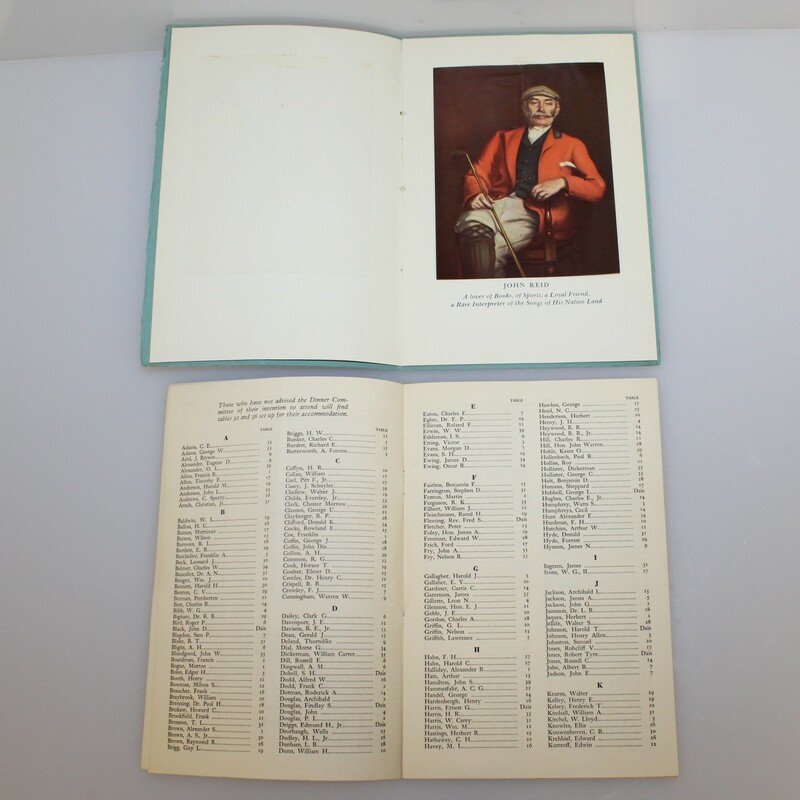 The cloth binding on the menu is broken, and the seating list has staining at the spine. 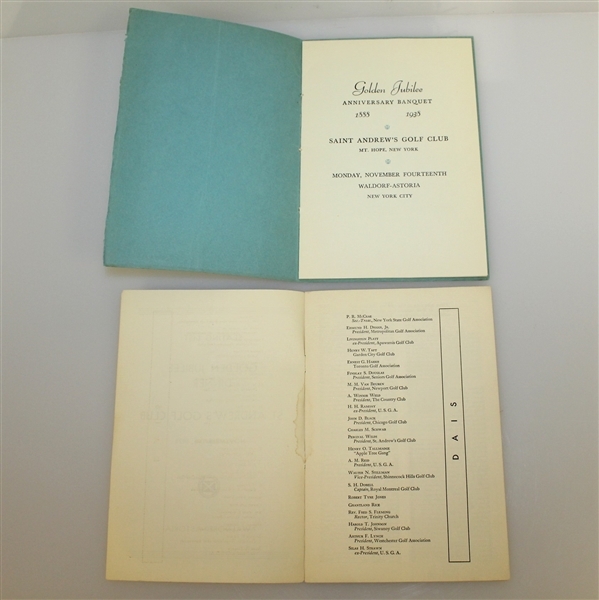 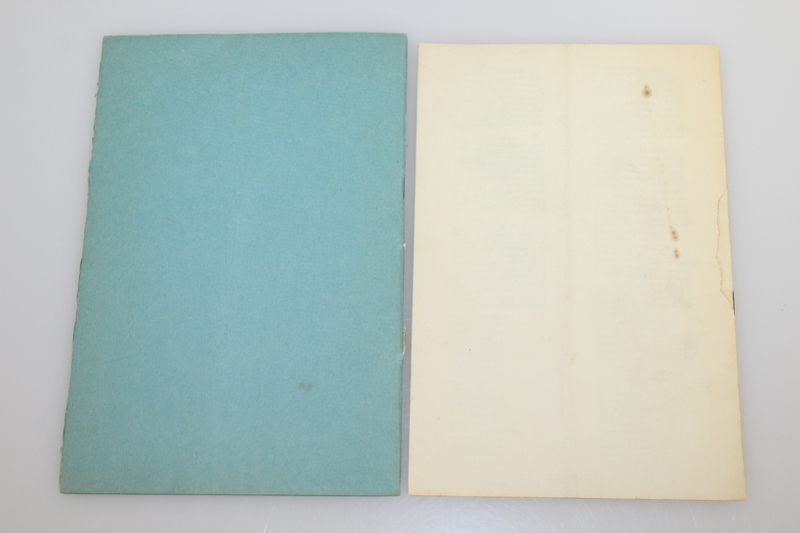 These seldom seen booklets measure 5 3/4" by 8 1/2".